Google AdSense announced their new logo last night on Google+. The new logo is pretty simply, takes an approach for its sister, Google AdWords logo. Here is a picture of the higher resolution version of the logo above, and below is a copy of the original Google AdSense logo. 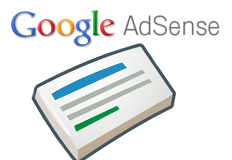 AdSense has a new logo!